Amanda Garcia reflects on a 10-year journey balancing life, family, and education. As a working mother, Amanda credits South Texas College with helping her manage a busy home life as well as her educational goals. Born and raised in Edinburg, Amanda says she has always strived to enter a career in education. Right after high school, she began substituting to receive job experience but was compelled to take time away from school to work and raise a family. 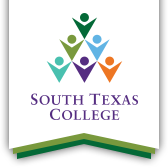 STC, she says, enabled her to not only return to college after an extended leave, it allowed her to explore her career options and decide on the best course for her future. “I was out for a little bit, maybe a few years, raising my family, working, and trying to decide what I wanted to do and when the timing was right to do it,” Amanda said. “I remember being scared that we weren't going to be able to afford our cost of living, supporting our children and me going to school. Her journey to obtain her education began when she started taking classes at the former University of Texas-Pan American in Edinburg, but she then transferred to South Texas College with about 70 college hours. While at STC, Amanda said she worked as a teacher’s aide during the day and took classes at night in order to juggle her family duties. STC, she said, allowed her to manage her home life and educational goals. She was able to transfer to Texas A&M University-Kingsville where she eventually graduated in May 2017 with a bachelor degree in Education. More than a year later, Amanda is now employed as a fourth-grade teacher at De La Viña Elementary School in Edinburg and plans to complete her master’s degree in Educational Leadership by December 2018. Even to this day, she said she looks back fondly on her experiences at STC that were filled with hard work but amazing professors. “I just think about me at STC, sitting in the car eating lunch, taking six courses, trying to juggle a family. It has had its bittersweet moments,” she said. “I had amazing professors who just guided all of us. I just learned so many different ways to help those students that need our help.